Maybe you don’t fly often. Maybe you only fly once a year on vacation or to visit Grandma and Grandpa in Florida. Maybe this is your first trip on an airplane headed to the vacation dream of your life. If any of these are the case then this article is for you. I will offer a few tips that will make your flight a little more enjoyable or just a lot less stressful. What’s the difference between a direct flight and a nonstop flight? 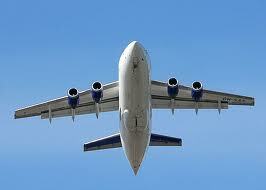 Unlike a nonstop flight, a direct flight can touch down at any other airport on the way to their end destination. The stops are figured into the total travel time but the delays that may come up aren’t. Always buy your ticket under the exact same name that appears on your ID. It might seem obvious to you that Jack is a nickname for John, but it might not be that obvious to a desk agent or more importantly a security officer. In today’s world of ramped up air travel security, this could pose a big problem for you in the form of a delay, especially when asked for your identification. If you have a disability and need to have a premium seat that will accommodate you better, make sure you tell the agent when you make your reservations. Don’t wait till you get to the airport, other passengers may be able to choose those seats 24 hours before the flight, when they are made available to everyone. Get to your gateway city as early as you can, since delays will stack up as the day goes on, it’s best to book the first flight you can into a hub if you have a connecting flight. There is nothing more frustrating than airline delays, whether or not you have a set time to be somewhere or you’re on a vacation. Since more airlines are charging for even one bag, everyone wants to carry-on all of the bags for their trip. Airlines are wise to this and are enforcing their carry-on policies. Think about what you really need to take on your trip, I mean the absolute minimum to get you through. Think about how many outfits you can mix and match. Remember you are wearing a pair of shoes, so plan to take another pair only if you need them. Minimize everything you take. Instead of taking shampoo and toiletries, decide whether or not you can get away with the sample sizes your hotel will offer you. Check your pockets and bags before you go to the airport. I promise you, if you forget that you have a pocket knife on your keychain or maybe in your pocket, your experience in air travel just got a lot longer and more complicated. By following these tips and using some common sense your flight will be a pleasurable and smooth experience.